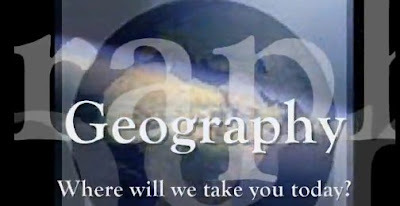 Before we go any further talking about space, place and this thing called geography I want you to just play with the following 'WoW' (World of Wonder) sites that really get us appreciating the awe-inspiring nature of our world, the world of geography! The excellent BBC site titled “Human Planet Explorer” contains hundreds of amazing human stories from around the world through television and radio clips from BBC programmes such as Human Planet, Amazon with Bruce Parry and Tropic of Cancer. Human Planet Explorer enables teachers and students to browse a selection of clips that showcase man's relationship with the natural environment. Check the video clips on environments, seasons, life events , survival skills, countries, events and festivals and other BBC video collections. Here are just a few to view. This amazing source of satellite images of the Earth has been around for a while but never ceases to engender wonder of the world. A climber and filmmaker has created the most detailed image of Mount Everest ever, made up of a mosaic of hundreds of photographs. Not recommended for vertigo sufferers, the image has been stitched together from 70 separate 80 megapixel images taken from the top of the 2,722 ft tower. The photographs were taken from the very top of the building - 200 hundreds metres above the 160th floor, which is highest point reachable by elevator. The observation deck is on the 124th floor. The journey to the very top involves a steep ladder climb within the 200 metre spire at the top of the building. An amazing urban landscape to view and wonder at. To think and write about before next lesson. What is space and place? So much to discover about our world!